and just listened to the first song on this playlist instead. It’s Church by Lyle Lovett and His Large Band. Because it’s not big – it’s large. Y’know how I love Townes Van Zandt and Billy Bragg? 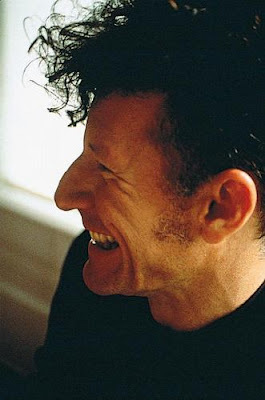 Well, we can add Lyle Pearce Lovett to that list. I would most definitely NOT kick him out of bed for eating Animal Crackers. He’s got that smooth as butter but hard as gravel voice that gives me the auditory swimmies. He’s witty, intelligent, sensitive and deep without taking himself seriously. He makes everything seem natural and effortless. His lyrics paint beautiful pictures and stories. He’s a good ol’ Texas Boy. Keep listening…see if you don’t agree with me. I LOVE Lyle. In fact I just made a mix cd last week that I named the My Pretty Pony mix in honor of If I Had A Boat. .-= Starrlight´s last blog ..Reminder!! =-.